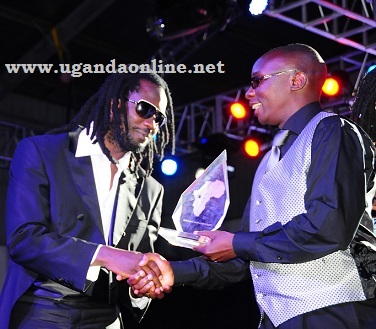 Bebe Cool emerged the Best Reggae Artiste in the PAM Awards 2011 like he has done since these awards kicked off. He straight away dedicated the award to the mother of his children Zuena Kirema. In his acceptance speech he said; "Thank you so much Uganda, the press, PAM Awards. I dedicate this award to Zuena." As he was making his way back to the audience, It was Straka's turn on the mic and she posed a question..! Embaga Ya dii? Akwata Empoola...literally translated as when is the wedding? Bebe replied that I take one step at a time..! Ragga Dee, Jose Chameleone and now Bobi Wine have all head their weddings apart from Bebe Cool who simply had a mini function and is yet to have a full wedding.